The fabulous ladies at Uncommon Designs are always coming up with creative spins on their apothecary jars. 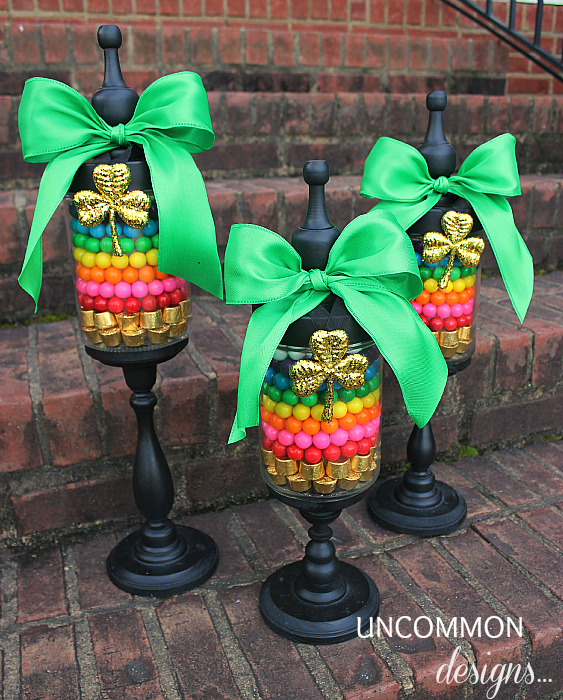 I just had to feature this Saint Patrick's Day ideas as it is just too cute. You could use this same idea with mason jars or any other recycled jar that you choose. Click here to get the full details on these apothecary jars and see more seasonal jar ideas from Uncommon Designs.